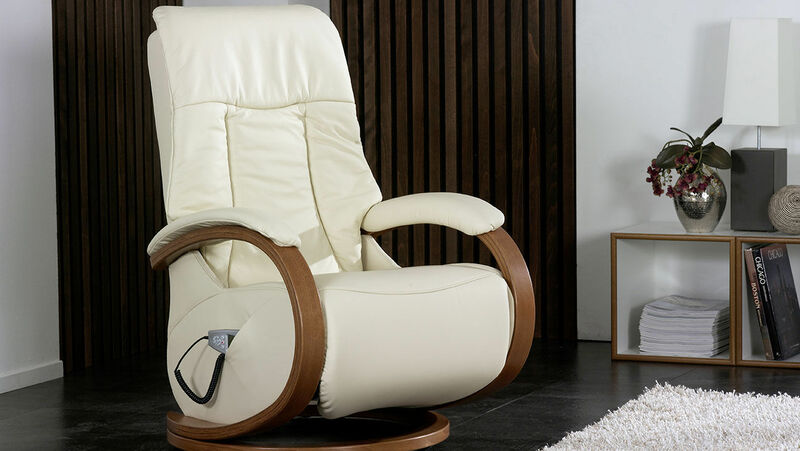 The Cumuly recliner with a wooden swivel ring from himolla Polstermöbel adds a touch of perfect elegance to your living room. 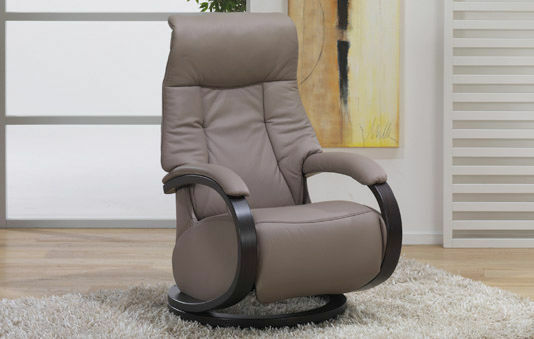 The comfortable cushions rest on a swivel ring made of elegant wood. The wooden armrests curve upwards in an arc shape and lend the chair a seamless visual appeal. 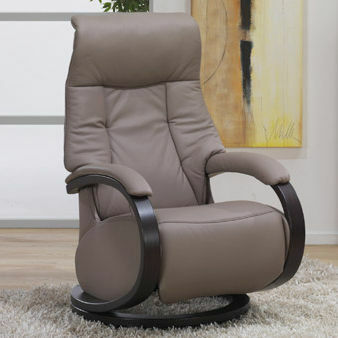 Thanks to its timeless design, your new chair fits perfectly into your existing home environment. The Cumuly armchair impresses with its stable workmanship and high-quality materials. The cushions offer three different types of seating comfort: soft, medium-firm or firm. There are two sizes to choose between. The seat height can be increased by 2.5 cm with an additional wooden swivel ring. If you want to sit back, use the loop to move the backrest to the desired position. The backrest glides back seamlessly thanks to the gas spring mechanism. The ergonomic backrest adapts perfectly to your spine to ensure there is no tension in your body. The integrated leg rest and headrest with a manually adjustable tilt angle offer further comfort. 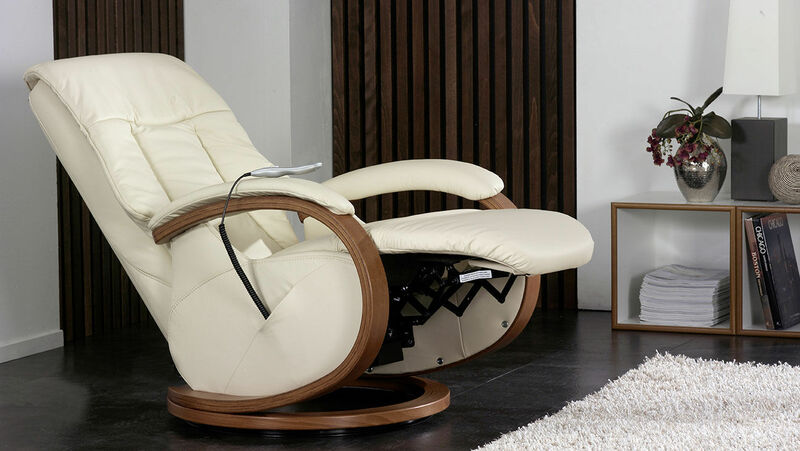 The Cumuly chair with a wooden swivel ring allows you to sit back and relax and even to enjoy a massage if you opt for the additional massage function. 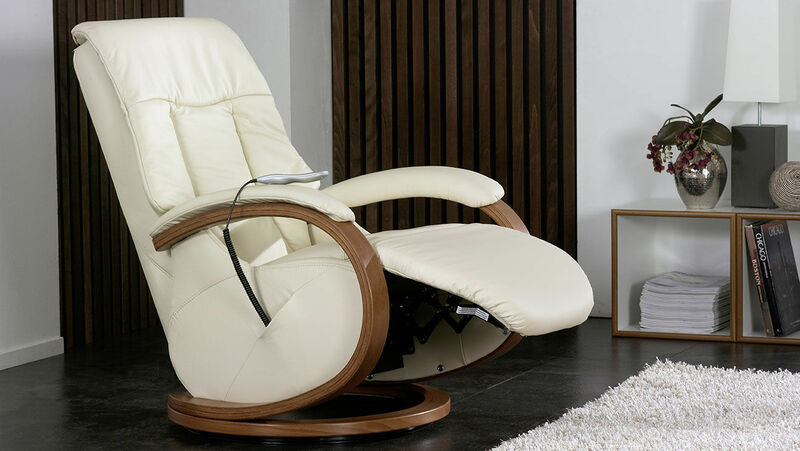 If you want a truly premium recliner, then you are certain to enjoy the four manual and six automatic massage programmes with the 8-roller technique. Microprocessor technology means that each massage roll can be precisely controlled.